WRITE ON. It’s all ergonomic – from your keyboard to your backpack. Why not your pen? Pacific Writing Instruments wishbone-shape PenAgain lessens wrist strain. But with its odd hand position expect to be mocked by coworkers. For people who can’t write at all, the split shaft of the PenAgain makes it easy to write without gripping – you just rest your index finger on top and stays comfortably in place for easy writing. 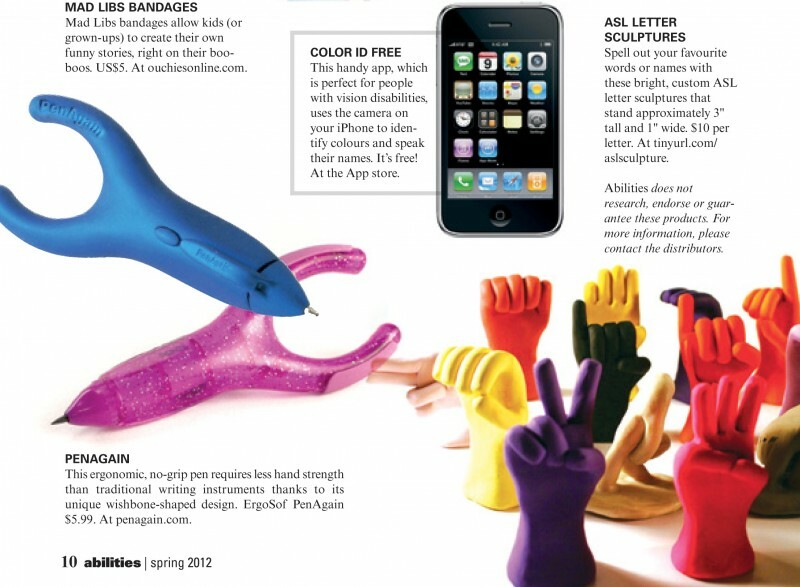 Thanks to its special form the PenAgain eliminates strains in the hand due to writing.